Read more of the Original Article on the Orlando Sentinel website. 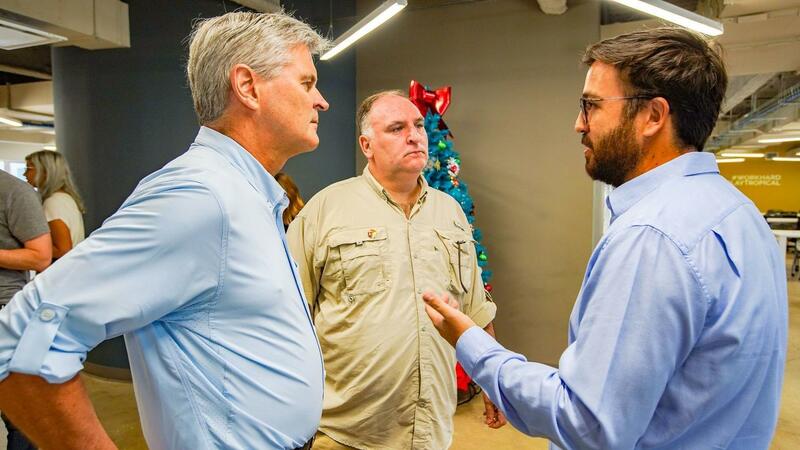 Steve Case’s Rise of the Rest competition is a great way for investors outside of Orlando, as well as non-traditional startup investors, to see that Orlando truly has investable companies worth scaling and celebrating. There has been a lot of energy surrounding the competition and we are looking forward to seeing each company represent Central Florida as they duel for dollars. Our community is also excited to learn the 8 companies selected out of 150+ that applied. AireHealth: Drug delivery for respiratory illnesses through a portable and connected nebulizer. Alertgy: The company has developed a blood-glucose monitor and alert system. Doghead Simulations: The company’s Rumii platform is a social VR product that conducts virtual meetings in a simulated 3D environment. Edukate: Financial wellness platform has personalized guidance and benefits information. FleetZoo: A platform for vehicle fleet owners to track their assets. InitWeather: Using artificial intelligence, InitWeather has developed weather forecasting products for the energy and finance industries. Millebot: This company specializes in large-scale 3D printing for on-demand production. Pangian: An AI-powered social network for telecommuters. Your success is the communities success as well. Keep rocking!